The German version is finally released! All versions are available to download. Ordering for all versions is opened ! Orion Prime is reviewed in Pix'n'Love 9. French version available to download. All orders will be shipped. Orion Prime preview in Pix'n'Love issue 8. 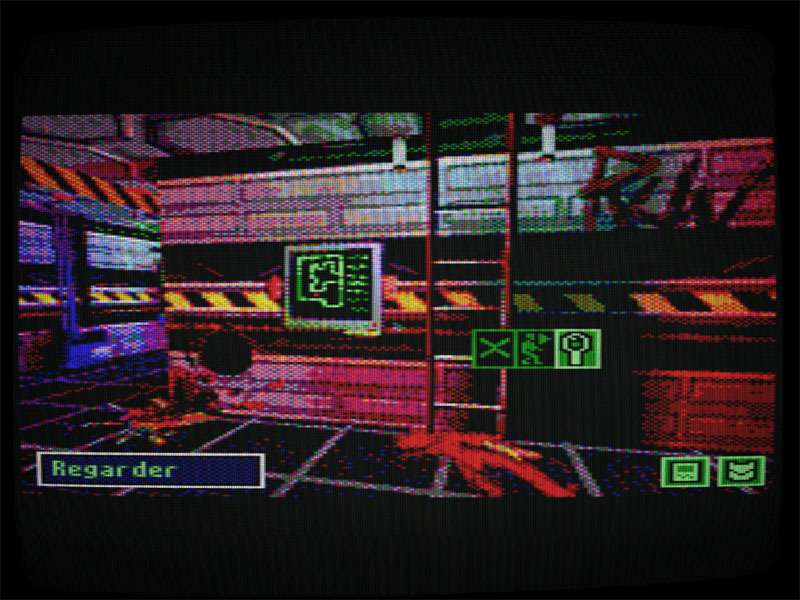 Game is previewed at Amstrad Expo 2009. Orion Prime Teaser is released. Any Amstrad CPC (or compatible). Engine failure... A hyperspace voyage that ends in an asteroid field... Forced to eject, you wander aimlessly in space, until you detect a signal from the Orion Prime. 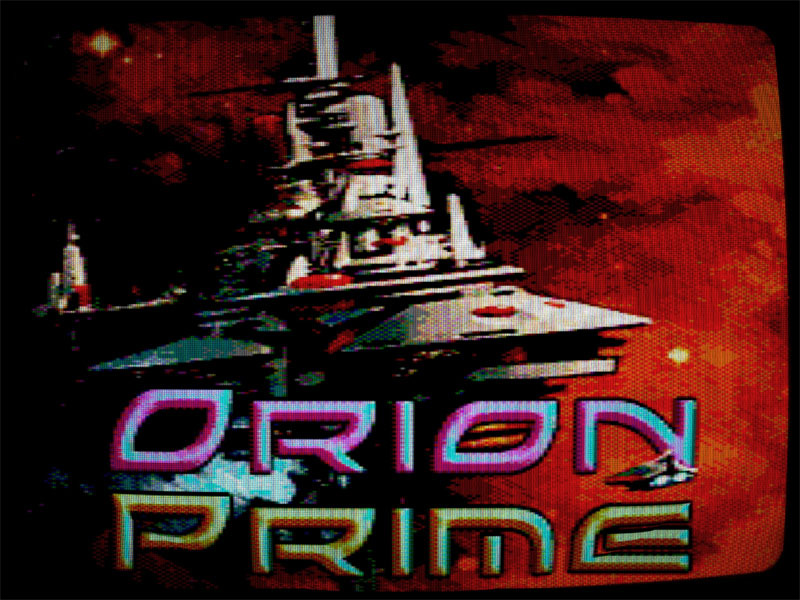 Orion Prime is an adventure game made for the 8-bit computer Amstrad CPC. It is freely available to download, whether you use the the real hardware, or an emulator. The 3" version needs 2 double-sided discs. The 3.5" version only needs one double-sided disc. The side switching is automatic, so you won't bother with it while playing. Also, thanks to the higher capacity of the disc, the game has an enhanced ending. The game is now available freely on the net. However, it was also once sold as a real packaged version, which contained goodies that you will not find in the downlodable version. It included an audio midi-CD with samples of surveillance recordings and a very special and cryptic negative. Don't ask us to release them, we won't. They were a special gift to those who bought the packaged version. This game takes advantage of the ESX sound system (Enhanced Speaker eXperience), it is thus advised to listen to the real speaker sound (frequency and mono mixing optimisation). The graphics are designed for the CPC color monitor, its color balance, contrast, pitch, and sharpness. The game requires 128k of memory (DKTronik compatible) and a 3" or 3.5 drive. 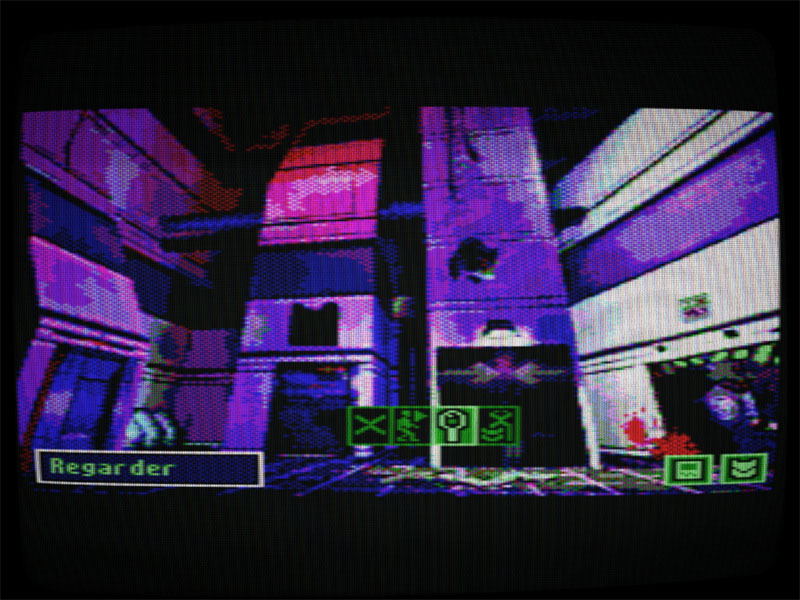 The game will run on any Amstrad CPC : 464, 472, 664 and 6128. 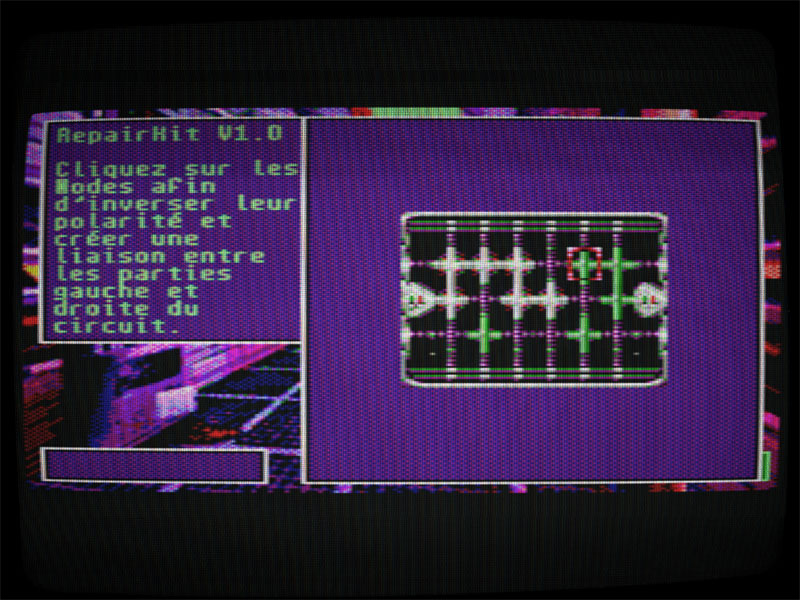 However, it can also be played on Amstrad Plus or some emulators, with lesser performance.